Imran Khan’s “Interrogation” A Publicity Stunt? Imran Khan makes a good point here. His views on drones are well known, so why would US officials need to spend one half hour asking him about them? Something seems strange. Deputy Chief of Mission at the US Embassy Richard Hoagland reinforced this view when speaking to journalists in Peshawar earlier this week, saying that “A lot of the story that went out was not very accurate but played up for political purposes”. The American DCM later posted on Twitter that Khan’s questioning had “Nothing to do with drones – he brought it up”. “I kept asking them what was this all about, and then one guy interviewed me and he was so confused, he had no idea what he was saying,” Khan told CNN by phone from Seattle, another stop on his trip. What’s interesting is that this is different not only from Imran Khan’s original description – “interrogated…on my vies on drones”, but also how Imran Khan has been describing the incident to journalists here in Pakistan, where he claims that he was interrogated about his position on drones for “three or four hours”. “I am cool. Such intimidating tactics cannot faze me. I was absolutely not upset at having to spend three or four hours at an airport against my will. 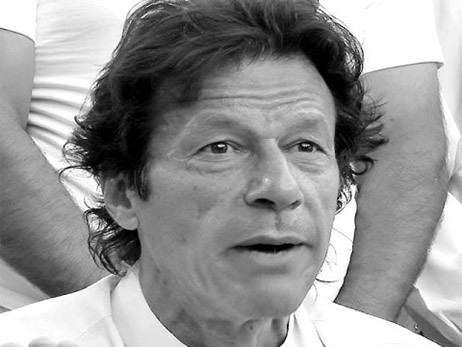 It’s not a big deal for me”, Imran told reporters in the federal capital. Imran, who has been a vigorous critic of US drone attacks and even led a rally to the tribal belt in protest, regretted the government’s silence on the maltreatment he had received in Canada. Talking to CNN after the incident, Imran Khan claimed that he was asked about his fundraising plans in America, and that the issue of drones only came up at the end. The Americans insist that he’s the one who brought up drones, that they never even asked. But talking to reporters in Pakistan, Imran Khan tells a much more exciting story of his courage in the face of ‘intimidation’. PTI was once seen as an emerging force in Pakistan’s political scene, only to see it’s prospects quickly fall. Earlier this week, PTI canceled internal party elections after discovering that only 350,000 members, or are actually eligible to vote in Pakistan. The most recent voter rolls include over 84 million people, meaning that PTI voters amount to about 0.4% of the population. The Kaptaan’s ‘tsunami’ is starting to look like more like a leaky faucet. Was his so-called interrogation a political overreach by an empire mad with power, or a last ditch effort by a desperate politician about to be bowled out? It’s not hard to see who stands to benefit from the incident – Imran Khan gets to look like the fearless leader standing up to the world’s super power, while the US looks like the world’s bully. Perhaps the most telling thing about the incident, though, is just how little attention it got him. After giving him millions, I wonder if Imran Khan’s American supporters aren’t starting to feel a little bit like phuddoos. There has also been some discussion among us desis on Pakistan’s poor performance in the Olympics (losing 7-0 to Australia in Hockey, both our swimmers, Israr Husain and Anam Bandey, failing to qualify etc). The first and foremost reason generally given for sub-par performance is lack of government’s initiatives and/or incentives for the athletes. People also say that talent is there but athletes are not given opportunities. But if that is the case, what about US? And the communist-esque China? So what really is the most probable cause for athletes and countries winning medals? This curiosity further lead me to research and find out what would be a good reason for winning medals. Could it be the population? Higher populations leading to a higher possibility of finding someone talented? Or does the economy of a country play role? He also tackles the population issue and explains that if that were the case, India, which is has the next highest population would be following China in medal counts in beijing Olympics but it got only one Gold medal compared to China’s 51 and India has three overall medals versus 100 of China. “According to research done by Krishna and Haglund, China should have won 20 medals in the 2004 Olympics and India should have won 19. However, China (GDP of $8,000 as opposed to the US GDP of $50,000) actually won 63 and India got just one solitary medal. The Russian contingent should have won 15, whereas it actually won 92. In other words, even with GDP thrown in, some countries punch way above their weight, while others much below. Indeed, the effectively participating population concept seems to be a reasonable explanation here. The reason why Pakistan seems to not do so well at an international level when it comes to sports is because of small effective/participating populations be from lack of resources, or opportunities and I have no doubt in my mind that Pakistan does not lack in the talent department, it is the “relative equal distribution of opportunities” that matters the most. Top it off with the fact that we as a society and as a nation do not invest in our youth also. Athletes take years to train and we do not work systematically. We don’t want to pay taxes, but want good roads, a clean infrastructure, good schools and electricity, clean water (which are off course basic amenities but require active state participants willing to pay their dues i-e taxes). All of us have to put into Pakistan – financially, physically and morally to turn the system around. It is sad that we don’t, but we can always work for the future. Maybe then someday we too can hold out head up high when we bring home medals from the Olympics. Shireen Mazari’s latest column, published in Express Tribune, reads like she’s not even trying anymore. A mix of unintended irony, conspiracy theories, and outdated ideology leftover from the Zia years, it is a perfect example of where we were in the past, and why it’s time to move on. 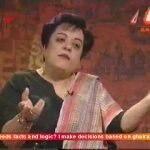 This may seem like a fair point at first, but note that Shireen Mazari fails to notice the irony in her own suggestion that Davis can receive a fair trial only moments after she declares him a ‘murderer’ who ‘did kill in cold blood!’ The court is not set to formally charge Mr Davis until March 3, yet Shireen Mazari has him already guilty in her own mind. And even if we are to accept that Aafia Siddiqui did not receive a fair trial in the US, is Shireen Mazari suggesting that we should throw injustice after injustice? Or are we supposed to believe that a court could find Mr Davis ‘not guilty’ and Shireen Mazari would gladly accept such an outcome? Perhaps this is what she means when she says we should not ‘condemn the credibility of our judiciary proactively’: That she can only rate the credibility of the court once she knows that it agrees with her own opinion. It is certainly worth asking if a fair trial is possible before an injustice takes place rather than afterwards. If we are going to demand impartial justice for our own countrymen, should we not be willing to demand impartial justice for others? And this is not the only example of Shireen’s confusion on the issues. For that perhaps we should consider her repeating the conspiracy theory that Davis has links to attacks on the security establishment. This assertion is ridiculous as it contradicts what the security establishment itself is saying. “They need to come clean, tell us who they are and what they are doing. They need to stop doing things behind our back,” he said. There are “two or three score” covert US operatives roaming Pakistan, “if not more”, he said. CIA spokesman George Little said that agency ties to the ISI “have been strong over the years, and when there are issues to sort out, we work through them. That’s the sign of a healthy partnership”. The intelligence agencies are merely asking that the CIA cooperate more openly with them. 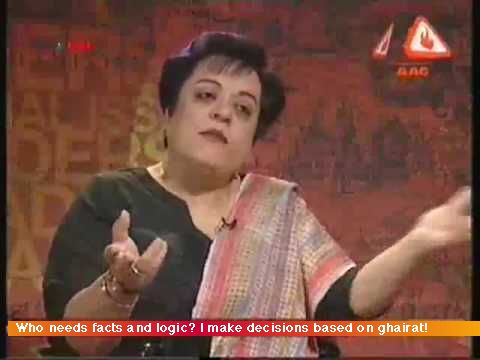 So why is Mazari trying to create some suspicion between the two by suggesting that Davis was involved in conspiracies to attack Pakistan’s security? To answer that question we may look to the conclusion of her piece which lays clear the out-of-date ideology that obsesses Shireen Mazari and the rest of the Ghairat Brigade – India. Yes, only a senior official of the Ghairat Brigade could analyse a situation in which a US Embassy employee shoots two armed men at Mozang Chowk and somehow find a link to India. This is an old and discredited way of thinking. China signed trade deals worth billions with India, and nobody pretends that this means China has nefarious intentions towards Pakistan. Actually, nations like the US and China don’t view their relations with us and India as a zero-sum game in which they can only be friends with one or the other. They want good relations with both, and they prefer that our two nations are also in good relations. Of course we need a better and more balanced relationship with the US. But the correct approach to this is not explained by Shireen Mazari, but by Shafqat Mahmood’s column for The News. Pakistan and the US are interlinked in myriad of ways. It is not just the Kerry-Lugar aid money that we desperately need or the American acquiescence to IMF or other international donors aid packages. Our defence and security needs also dictate a continuing relationship with the United States. We do not have to be subservient to it, and I do not think we have been. There are many issues on which the US has been pushing us for a long time but, we have not given in. In particular, we have stoutly resisted the American demand for an attack on North Waziristan or its interference with our nuclear programme. Having said that, there is also no need to get into an adversarial relationship with it. It is true that the Americans should not let the Davis case impact the entire relationship. But this argument cuts both ways. We also should not let it affect our relationship with the United States. But worst is the way that Shireen Mazari tries to smear the name of the American diplomat Marc Grossman by accusing him of being “an active Indophile” because he had a job at an American firm that performed business consulting in India. In a glaring act of omission that has become typical for Shireen Mazari, she did not mention that Marc Grossman served at the US Embassy in Islamabad from 1976-1983. She did not note that he served as US Ambassador to Turkey from 1989-1992. She did not note that in 1999 Mr Grossman helped direct US participation in NATO’s military campaign in Kosovo that saved the lives of countless Muslims. All of this information is readily available – I learned it from his Wikipedia page. But such facts are not of interest to Shireen Mazari. With such a history, why does Shireen Mazari not term him ‘an active Islamophile’? Shireen Mazari represents an ideology leftover from the Zia years. It is an outdated way of thinking about national security that places India as the ultimate threat, even while religious militants are attacking within our own borders. It uses anti-Americanism as an excuse for internal problems and provides a scapegoat for political pied pipers who promise that we will live in paradise if we can only get rid of the ‘foreign hand’. The truth is, it is Zia leftovers like Shireen Mazari – not the Americans – that are holding us back. They want to keep us tied down to a Cold War mentality because they know that in the 21st century, their ideology is as irrelevant as their phony ‘think tanks’. Even If Raymond Davis is an intelligence officer, will he still have diplomatic immunity? The following post by Feroz Khan was originally published at PakTeaHouse.net and provides an interesting perspective on the issue of diplomatic immunity and intelligence agents. Many people are saying that if Raymond Davis is not wearing a suit, or carries a gun, or has CIA ties then he cannot be a diplomat. But is this really the case? Could he be an intelligence agent and still have diplomatic immunity? If Raymond Davis is an intelligence officer, he still will have diplomatic immunity. The intelligence community is a very small world and when a diplomat is accredited to a foreign country, the host country is notified about the posting and the person who who will be posted. In this case Pakistan would have been duly informed by the United States that Raymond Davis will posted to Pakistan and in this case, Pakistan had the option to allow him into the country or not but the fact that Pakistan accepted his posting and issued an official visa to that affect means, legally under international law, that Pakistan accepted his credentials and that automatically conferred the status of a diplomat upon him. Even if he is an intelligence officer, the protocol in this case would have suggested that Raymond Davis be considered as a “persona non grata” and asked to leave the country. When a diplomat is arrested for anything in a country in which they are posted, the local law enforcement authorities immediately notify their superiors up the chain of command. In this case, once Raymond Davis was arrested, the police after ascertaining his identity should have notified the Interior Ministry and then the Foreign Office. Foreign Office is responsible for issuing visas to diplomats and once a diplomat is posted to Pakistan, they first go to the Foreign office and present their credentials as a sign of officially taking charge of their assignment and then, they are asked by the Foreign Office to formally present their credentials to the President of Pakistan as a sign of formally being accredited to the host country. Thereafter, the Foreign Office informs the Interior Ministry that a diplomat, accredited to Pakistan, has assumed their duties. The Interior Ministry is responsible for all law and order issues in Pakistan and is the nominal head of all intelligence services working in Pakistan. In the case of Raymond Davis, chances are that he would have not meet Asif Ali Zardari as he was more of a consular worker seconded to the United States Embassy than a principal diplomat, but it does mean that once his posting to Pakistan was suggested and his credentials provided to the Foreign Office; the Foreign Office would have consulted with the Interior Ministry on his posting and his personality and the Interior Ministry would have sought informational input from the various intelligence services and researched his background. Once the Interior Ministry would have confirmed the bona fides of Raymond Davis, the Foreign Office would have issued him the visa, which is only a document that gives a foreign national permission to enter a country. In this case, the visa would have been an official one and once that issue was issued in conjunction with his work as “aide” to United States’ diplomatic staff in Pakistan, Raymond Davis would have meet the most basic conditionalities of Vienna Convention’s classification of a diplomat. A diplomatic immunity is conferred by the host country and it can be rescinded at any time, when a diplomat accredited to a country breaks or violates his/her terms of diplomatic status. In the case of Pakistan and Raymond Davis, the most preferred course of action would have been for the Foreign Office to rescind his diplomatic immunity and declare him as “persona non-grata” and ask him to leave the country. Furthermore, the police can only arrest a person accredited as a diplomat if and only when his/her credentials are rescinded and that too only after consultations between the host and the guest country agreeing to the fact that a diplomatic immunity is to be denied. It cannot be unilaterally removed by the host country and this is due to the principle of “sovereign immunity” in international law (basically this caveat means that a foreign nation cannot be sued without its permission and this idea historically comes from the divine rights of the kings, where the European monarchs sought protection from acts of parliament – specially after Charles I of England was executed by Oliver Cromwell; a parliamentarian) under which a guest country’s diplomat cannot be arrested or charged with a crime WITHOUT the permission of the guest country itself! Parentically speaking, all heads of state are entitled to sovereign immunity and it is intended to prevent them from being legally charged in the due process of their official duties and in the case of Pakistan, it implies, technically and theoretically, that General Zia-ul-Haq could not have charged Z. A. Bhutto with murder without Bhutto’s permission! It is the same idea that prevents George Bush, Jr. and his administration from being charged with any crime they might have committed, under international law, while in office. As I said elsewhere, international law is observed more in the breech than in the observation of its intent. In this case, when Raymond Davis was arrested, his diplomatic immunity was valid and even after the arrest, the Foreign Office did not cancel his official status in the country and when, under such stipulations, consular access to Raymond Davis was denied; Pakistan stood in violation of the Vienna Conventions. Raymond Davis is alleged to be quilty of killing two people directly and a third person indirectly; and therefore he is alleged to be quilty of a double murder and man-slaughter. There is no denying this fact, but this fact is obscured by the formal procedural requirements of international law, based on its conventions and treaties, and the fact that these formalities were not observed and this event, which could and should have been handled on a diplomatic-official level was allowed to be victimized by political considerations fanned to the extreme by an overly agitated and hyper-nationalistic press-media of Pakistan. As to the jurisdiction of the courts in this matter, Pakistani courts have no jurisdiction in this matter because to the best of information available, Pakistani Foreign Office has still not officially invalidated Raymond Davis’ official status, but seems to have confirmed it. As long as Raymond Davis remains officially credited as a diplomat by the Pakistani Foreign Office, he cannot be detained and his detention in the present circumstances can be easily classified as ‘unlawful arrest” and this issue in a legal, and more importantly in a procedural sense, still falls under the purview of the Pakistani Foreign Office and it is for the Foreign Office; not the courts to decide whether Raymond Davis can be tried in a Pakistani court. If and when the Foreign Office withdraws Raymond Davis’ official status in Pakistan, after discussing the matter with the United States and the United States agrees to the condition, only then Raymond Davis can be charged and tried in a Pakistani court for the crimes in he committed in Pakistan while on official status. Pakistan cannot refer this case to the International Court of Justice because in order for the International Court of Justice to hear this case, it needs the concurrence of both parties to the dispute, Pakistan and the United States, that the case shall be referred to the International Court of Justice. The correct procedure in this case would be, and this also strongly confirms and reinforces the purpose of John Kerry’s visit to Pakistan, that Pakistan declares Raymond Davis as a persona non-grata and expels him from Pakistan without charging him. The next step would be for the Foreign Office to instruct its embassy in Washington D.C. to file a case against Raymond Davis in the Supreme Court of the United States, which has the constitutional jurisdiction to hear cases involving the United States’ government and foreign governments. Pakistan has a solid case in this regard and if it follows the due process of the law and the right procedural mechanisms, there is a very good possibility that “justice for all” can be achieved without underming Pakistan-United States bi-lateral relations. On a point of addendum, it should be noted and clarified that this case has no similarities with the case of Dr. Affia Siddique and should not be compared with that case, as the legal circumstances are entirely different. Dr. Affia Siddique was arrested at the United States’ military base at Bagram, Afghanistan. According to international law and its intentions on the matter, a country’s military base on a foreign soil is to be considered in much the same sense as a country’s embassy on a foreign soil. In other words, Bagram base was technically speaking “United States’ sovereign soil” and Dr. Affia Siddique was arrested for crimes committed on “United States’ soil” and therefore could be arrested, tried and charged in a United States Court and sentenced to jail term in a United States prison. The United States’ embassy in Islamabad is considered as “United States’ soil” and Pakistan’s embassy in Washington D.C is considered as “Pakistani soil”. In a similar sense, the Indian High Commission in Islamabad is considered as “Indian soil” and Pakistani High Commission is considered as “Pakistani soil”, where the laws of the guest country apply and not those of the host nation! To further illustrate this point, there was an incident in the 198os, when Germany was still divided into East and West Germany and the Cold War was still raging, when an East German airliner was hijacked and forced to land at the United States military base in West Berlin. An airliner, under international law, is considered as the “soil” of the country, where it is registered and in this case, it was an East German airliner. Therefore, the act and the crime of hijacking was committed on the “soil” of East Germany, but the aircraft landed in a West Berlin military base belonging to the United States and therefore, on American “soil”. Once aircraft had landed, the persons who had hijacked the aircraft, to seek asylum in the west, were arrested by the officials of the American military police and housed under arrest on a United States’ military base. East Germany asked for their return claiming that the act took place on its soil and they should be judged by its laws and the United States’ State Department agreed with this view and decided to charge the persons with violating the international law of hijacking and once found guilty, to send them back and the trial to this effect was to be held on the premise of the United States’ military base in West Berlin. The defense lawyers argued that international law did not apply in this case, as the arrest was affected on American soil and therefore, the laws of the United States would take precedence over international laws in this matter because though the crime was committed in East Germany, the persons were arrested in United States and thus, they had right to the full due process of the law as guaranteed under the United States’ constitution. In the end, they were judged according to American laws, because the presiding judge in his verdict noted that though the crime was committed in East Germany, they were arrested by members of the United States’ military police, which operated under the United States’ legal jurisdiction and were performing their duties on a United States’ military base, which was considered as an American “soil” under international law and therefore, the laws of the United States, and not East Germany or international laws, were applicable to this case. According to the judge, the laws of East Germany or international legal jurisdiction could be considered over United States’ legal jurisdiction in the matter only if the United States’ government had given its sovereign consent to this idea and since it had not; the United States laws would be considered as supreme in this matter! Therefore, in this case international law prevailed over domestic law and in the case of Pakistan and Raymond Davis, international law will prevail over Pakistani laws until and unless, there is an agreement between United States and Pakistan over this issue and international conventions are put aside in the favor of Pakistani laws.